Posted on May 20, 2015, in Creationism, Education, Politics, Religion, Scotland and tagged Alasdair Allan, Intelligent design, Parliamentary petition, RMPS, Scottish Secular Society. Bookmark the permalink. 15 Comments. Reblogged this on Peddling and Scaling God and Darwin. “Belief and Science”, by Joe Walker, is the “current textbook” you refer to. Any info on this “Joe Walker”? I can’t find any anywhere, although he seems to have 6 books on the Scottish Education curriculum. He has several on Amazon, Goodread, Waterstones & elsewhere too, but they offer virtually no info on the author. Head of RMPS at Liberton I School in Edinburgh. Former secretary of Association for the Teaching of Religious Education in Scotland. Helped develop standard grade religious studies, served on Scottish Examination Board and then Scottish Qualifications Authority, Religious Studies Panel. Acknowledgements include Ian Thow, setter for the SQA in the Belief and Science Unit, and David Jack, Principle Assessor for AH RMPS. Surces: Belief and Science Acknowledgements, Nature of Belief “About the author”. Belief and Science is a textbook for Higher RMPS. In fact it is the name of a unit in the old Higher – written very specifically for that purpose. Students in Higher RMPS classes are expected to phenomenologically study the religious behaviour of human beings, and make an attempt to understand why people may have developed, and why they hold certain religious beliefs. It is implied in the course specification that by the time students are at that level (Higher, usually in S5/6), they should be able to make a judgement for themselves whether or not beliefs are ‘flat out wrong’. It may not interest you at all, indeed it may even irk you, but phenomenological study of religion does have a place in academia, and students in High Schools should be introduced to this method of studying human history and culture. 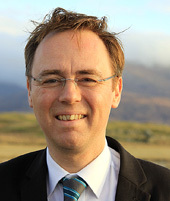 Joe Walker is no longer head of RME at Liberton, he now has a role within Education Scotland. You raise a most interesting question and I hoe we can discuss it here further. We should indeed let students make up their own minds, but how best to do this when the arguments are so uneven in their merits? I completely approve of the phenomenological study of religious beliefs. Indeed, I have spent considerable time on this myself. However, the phenomena must be accurately described. My quotation is verbatim from what Walker lists as “strengths” of ID. The corresponding “weakness” is , verbatim, “Scientific argument is complex and demands a high level of understanding which may b e beyond the reach of ordinary people including Chrisitan beleivers who are not scientificalluy literate.” Nothing here to suggest that ID was shown in a dramatic court case (Kitzmiller v. Dover) to be scientifically untenable, or that both the English guidelines (I blush when I admit they do these things better in England), the Royal Society, and numerous other bodies regard Intelligent design as scientifically discredited (http://en.wikipedia.org/wiki/List_of_scientific_bodies_explicitly_rejecting_Intelligent_design). There are other scientific problems with Walker too; for example he criticises evolution for not explaining the origins of life (no one criticises Lavoisier for not explaining the origin of the elements), and he has the evolution scientist resorting to outdated excuses for an allegedly weak fossil record, when by now the record is extremely rich (see eg. Don Prothero’s Evolution:What the Fossils Say and Why it Matters), with over a dozen intermediates, for instance, between non-human apes and modern humans. And more. So I think that Scotland’s students deserve a more informed presentation, and if you have any ideas how I (and my friends including a textbook-writing biology teacher, a geologist Anglican vicar, and a University reader in molecular evolution) can get it to them, I would be delighted to hear it. I should be very happy indeed to discuss it further. I should, I think – restate my assumptions here. I can assure you in the strongest possible terms that I don’t need a court case to prove to me that ID is ‘scientifically untenable’! I’m not suggesting for a second that we should be ‘comparing’ scientific and literalist religious understandings of the origins of the universe in any way shape or form in our classrooms. Despite how it may appear from Mr Walker’s textbook, that is not the purpose of this unit in the Higher, either, but rather it invites students to discuss to what extent religious belief and the knowledge we have about the origins of the universe are compatible. Students also discuss the fact that the vast majority of religious followers in Scotland/Europe also accept scientific knowledge and are invited to think about how religion has adapted and what role it continues to serve for individuals. I don’t believe a good teacher would ever use a textbook – any textbook – uncritically. In my experience, there might be a part of a lesson in which students are told to turn to Mr Walker’s book to understand what reasons literalist Christians may give for holding their beliefs, and they are presented in that book as reasonable claims, even though many many students will not regard them as such, and will go on to destroy those claims in their answers. A good teacher will actively encourage students to engage critically in this way. That’s not to say that there aren’t bad RMPS teachers out there, of course, though I believe them to be in the minority. That said, in the first school I taught in, there was a creationist physics teacher (!) who attracted young people to his bible study class with the offer of cake, and lodged a formal complaint when a school trip to Samye Ling Buddhist monastery was planned – I wish I was joking – so there are bad, bad teachers in every discipline, and that is something we need to address as a nation. I will say as an aside that whilst the vast majority of RMPS students are highly critical of the ‘arguments’ for ID, I have also encountered religious students (mostly Muslim in my experience), who have a belief in ID, but through their study of RMPS have engaged with and explored the scientific method in depth for the first time in their lives. That may be a failure of other school subjects, and it is something I would like to see addressed, but I think as things stand it is worth bearing in mind. As to what yourself and your colleagues could put together to help schools – I will give that some thought. That students are able to drop science completely as they progress through school is something we should maybe look into campaigning about, though I do understand why having to make a straight choice at that age between the different ‘sciences’ is daunting! You have the advantage of me; you know who I am, but I do not know who you are and it sounds as if I should. There are important issues here; your choice whether we discuss further here, or privately by email. If you have influence over what is taught, either of these might be a very useful exercise. Apologies, yes I noticed just now that I have a rather mysterious avatar. I’m John Jennings. I’m Chairman of the Association for the Teaching of RE in Scotland and an RE teacher in Edinburgh. I’m quite happy to continue to discuss here if you are! Applause! Cheers! Champagne!! Well done, Paul!! It was a fight that should never have even taken place, but you met the nonsense head-on, and prevailed. Congratulations. Pingback: Creationism in Scottish schools – we won! | Damned if i do..